Every Grand National morning my mobile phone is inundated with text messages enquiring about which horse will win the world’s most popular steeplechase. Everyone is looking for a tip, a pointer in the right direction. Well, let’s get this straight – this is a tough ask for any tipster. The Grand National is the biggest and most popular horse race of the entire season but it is also the hardest race to predict the winner. Why can’t these people enquire about a tip on a regular day’s racing, there’s plenty of opportunities for profit there, but no, they put the pressure on me in the toughest race of them all. Cheers guys. 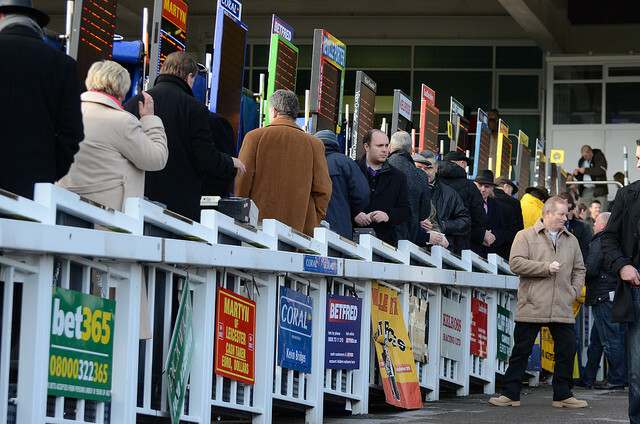 If you are one of these tipster harassers then here are a couple of things to help you along the way of finding the winner and making sure you make a bet of the Grand National a profitable one. Well, this year, instead of typing out the same response to all the requests for tips, I’m going to send them in the direction of this webpage. After trawling through all the runners, and their respective form-lines, I have come the conclusion that three horses are what I would consider value bets to run well in a race like the National. They are: Cappa Bleu (12/1 Bet365), Teaforthree (16/1 Paddy Power) and Imperial Commander (20/1 William Hill). Some of you may think that putting more than one tip up for selection is a cowards way out, but in a helter skelter race like the Grand National, having two or three horses running for you is certainly the way to go. Instead of backing each way, which is two-bets per selection, splitting your entire layout of stake on just the win aspect of horses’ chances is our recommendation. Not only will you be in line for a big return if one of your selections runs out the victor but it gives you more eggs in the basket, which can make for a more enjoyable Grand National punting experience. You will hear plenty of stories of punters bemoaning their luck that either of their selections has fallen early on in the race, but punting with a few horses in your armory will make sure you stand a good chance of getting a horse around the 40 fences in one piece. My advice would be to stagger your stakes accordingly. Therefore if you’re looking to bet with an out lay of £10. Then 50% (£5win) of that should go on Teaforthree (first choice) and then 25% (£2.50win) on both Imperial Commander and Cappa Bleu. Please don’t bet each-way on the Grand National, stick to win betting. The odds, in terms of the each-way stipulations, are so stacked against you it’s unbelievable. 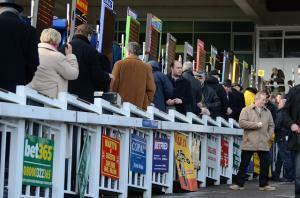 Most firms only pay the first four past the post – scandalous for a 40 runner handicap. So, why should you be investing your hard earned cash on the three horses in question? Teaforthree – His trainer is one of the most upwardly mobile in the game at the moment and is a bit of a looker too. Google Rebecca Curtis and you’ll agree. She has the perfect newsworthy make-up about her to become a Grand National heroine and she has the horse to win it this year. Teaforthree is an excellent jumper and has the class to get round Aintree. The more rain the better too. Imperial Commander – The best handicapped horse in the field after previously been rated 180+ and now racing off 152 following a couple of years off the track. Looked in great nick when returning at Cheltenham earlier this year and has been primed for this race. Cappa Bleu – Another one that has been laid out for this race after finishing a very good fourth last year. If he can be nearer the pace this season, he has the staying power to be involved in the finish once again..